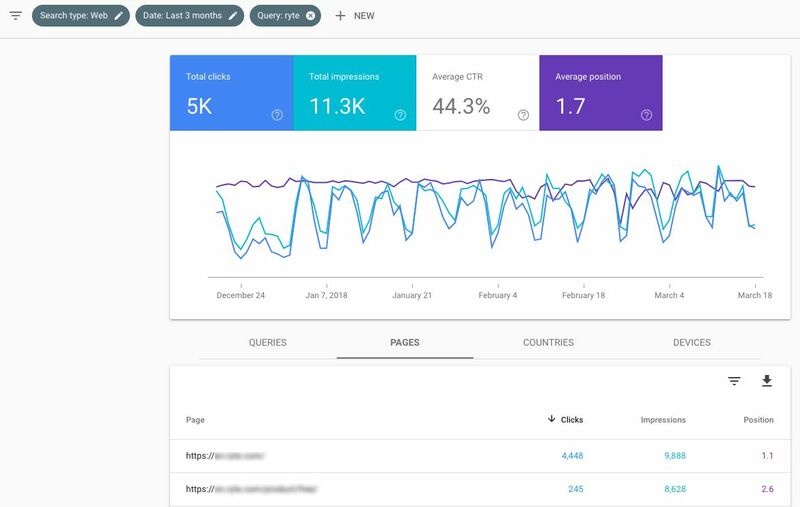 After several months of testing, the new version of the Google Search Console was made available to all users at the end of January 2018, and offers webmasters many new features. Among other things, users now have access to historical data from 16 months (instead of 90 days as before). Other new functions include for example the Index Coverage Report, meaning you can track the performance of individual URLs in search. Figure 1: Google announces the launch of the new Search Console in the Webmaster Central Blog. The Google Search Console has become a real multi-tool for web analysis. Standard functions include storing the sitemap.xml and analysis of indexable pages, and the tool also provides useful information regarding possible HTML errors in title and meta-descriptions. 1. How can I determine rankings with the new Search Console? 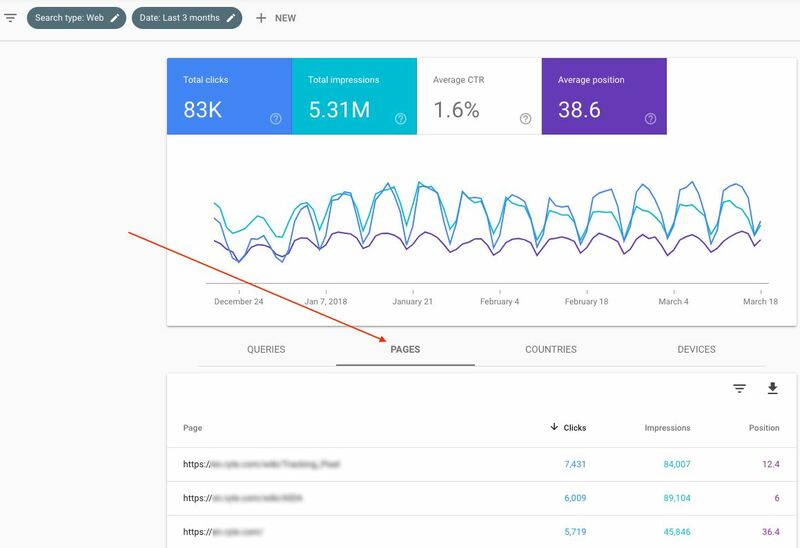 The new interface in the “Status/Performance” area contains the search analysis, one of the core features of the Search Console. You can access the search analysis via the dashboard by clicking on “Open Report” in the performance view. 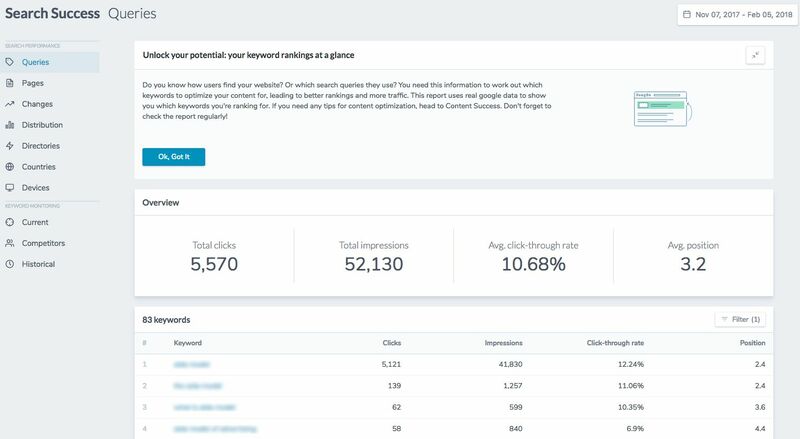 Here you can determine the rankings of your search terms with the Search Console. The report is simple and clearly arranged, and in the upper area you can sort clicks and impressions by web, video or pictures. To display individual rankings for pages, search queries, countries or devices, you can activate the tile “Average position” by clicking on it. 2. Which time frames can I use to analyze my data? 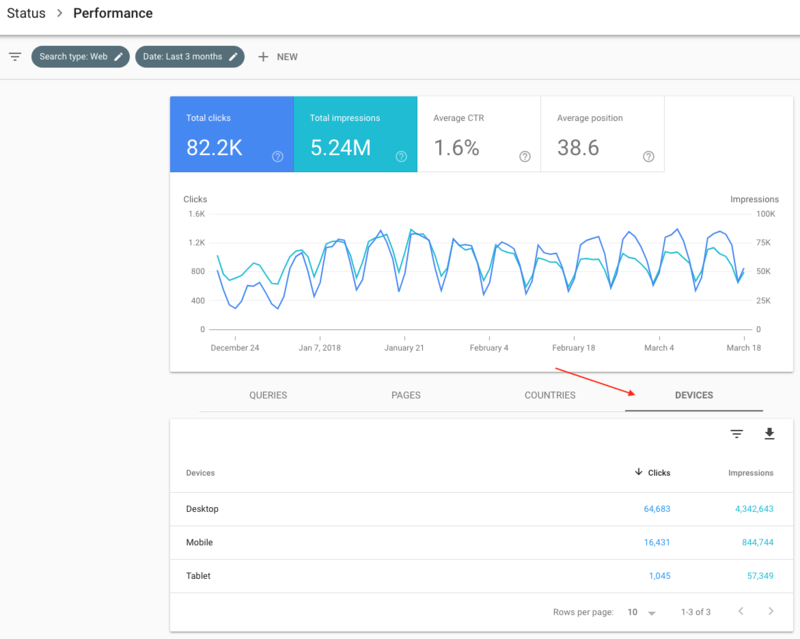 The analysis period can be set individually in the new Google Search Console. Data from a longer period (up to 16 months) can now be analyzed. Previously, only data from the previous 90 days could be analyzed. Simply set the desired analysis period by clicking on the “Date” button within the filter bar. 3. How do I determine the rankings of individual pages? To find out which individual URLs of your website rank, click on the tab “Pages”. Now, you will see the average ranking position of your pages, giving you a useful overview of which of your pages have the best rankings. You can also filter this information by clicking on the filter symbol. For example, you can filter to get an overview of pages that have an average ranking position of less than 20. 4. How do I filter my rankings according to certain keywords? For seeing clicks and impressions, click on the filter symbol and check the box “queries”. Then a box will appear where you can enter your search term. A further practical filter makes sorting according to rankings easy. For example, you can choose to just see pages that rank on the first page. You can see all keywords for which you rank lower than position 10. For example, you can set a filter so that you see all pages that rank between positions 10 and 20 (i.e. on the second page), to make optimizing your second page rankings easy. Pages that rank position 11 on average have a particularly high optimization potential. 5. How can I determine which pages rank with which keywords? The Google search can show different search results depending on the user’s location or device. The new Google Search Console takes this fact into account. Click on a keyword in your ranking overview and then on the “Pages” tab. The rankings for this keyword are displayed in relation to the ranking URLs of your website. 6. How do I compare rankings according to country? If your website is offered in different countries, a country comparison is very useful. Click on the performance analysis on the tab “countries”. 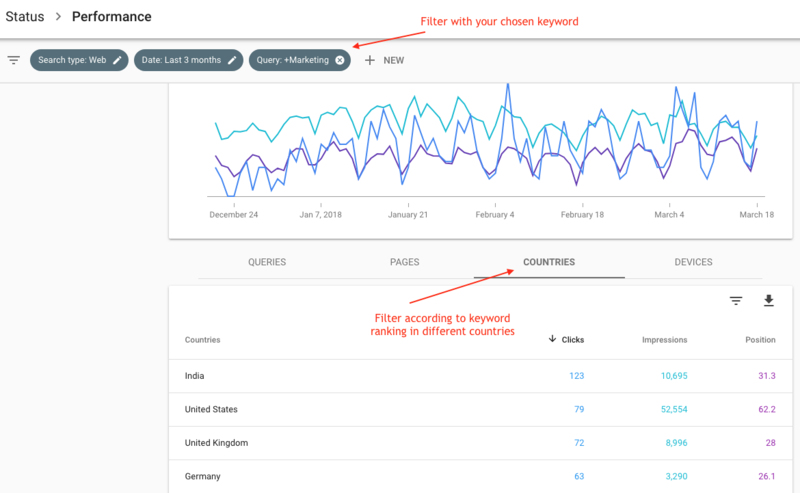 If you want to determine how your rankings differ in individual countries, you can add a filter. You can also get the same result by clicking on the rankings of a search term and then selecting the “Countries” tab. 7. How do I compare my rankings on mobile and desktop? Through a comparison of mobile rankings and desktop rankings, you can, for example check whether your website performs as well in the mobile SERPs as it does in the desktop search. You get a global ranking comparison between your devices when you click on the tab “Devices” in the performance report. 8. How can I create a ranking comparison over different time periods? Rankings are never static, but change daily. 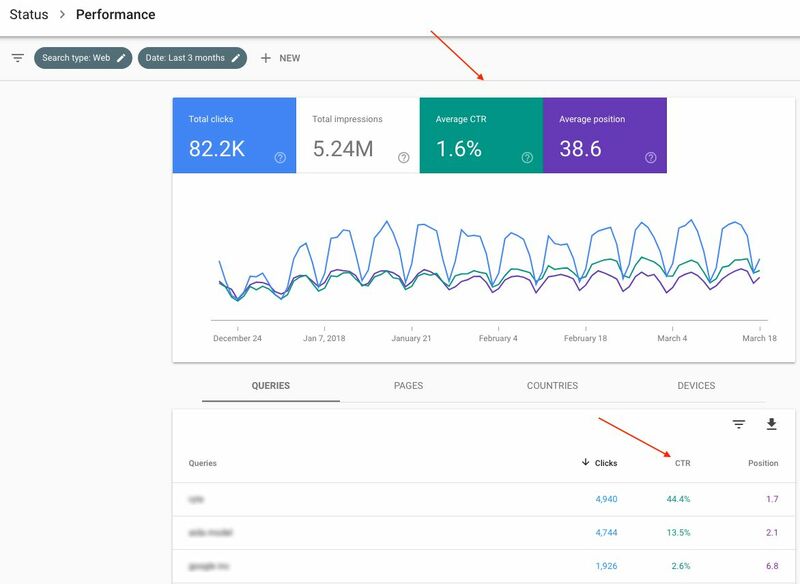 With the comparison of different time periods in the Google Search Console, you can see how your rankings have changed over time. The analysis is also useful for limiting possible losses in ranking over time. The position analysis can then show you the ranking development of your website over the course of a year or longer, for example. 9. How do I analyze my ranking data in combination with my click rate? With a click on the tab “average CTR”, all data will be combined with the click rate in the SERPs. 10. How can I export my data? Exporting the data is very intuitive. In every analysis, you can see the download icon. When you click on this, a menu will open and you will be asked wither you want to export the data as an excel sheet or google sheets. 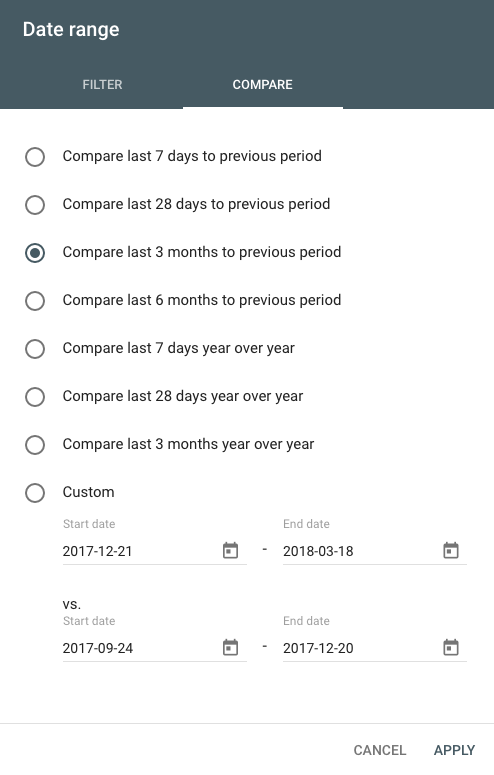 When you use the Google Search Console, you are already logged in to your Google account, so if you click on Google sheets, the table will open immediately in a new window. This can then be exported or worked on directly. RYTE Search Success offers some practical advantages that are a useful addition to using the Search Console. 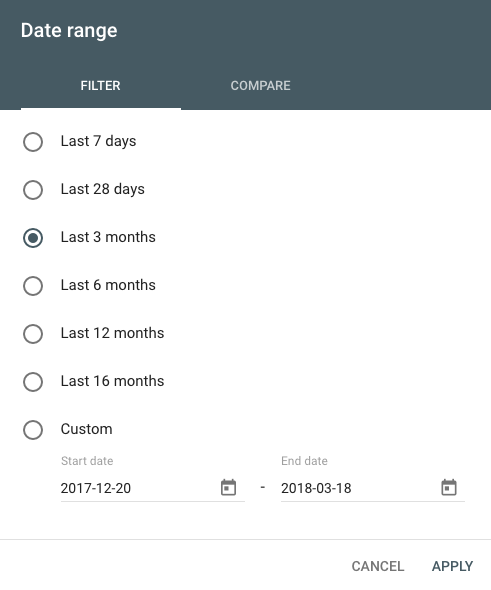 For example, Search Success saves the imported data indefinitely and does not delete it after a certain period of time, so you can still view today’s data in several years. 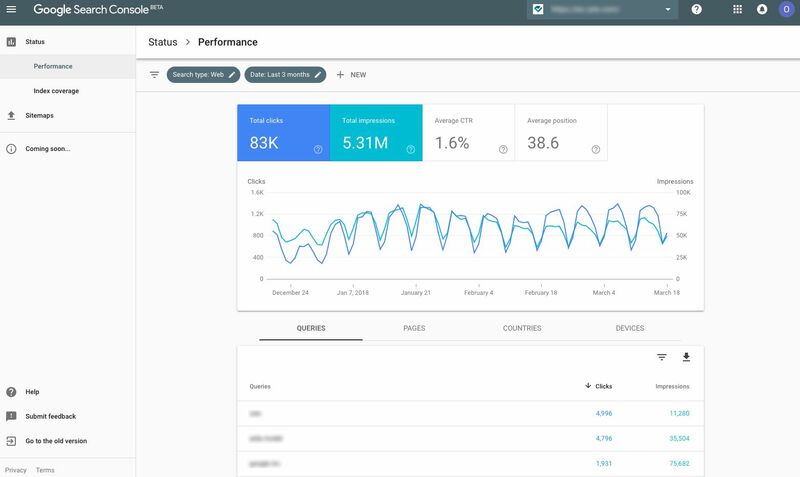 In addition, RYTE Search Success provides you with reports on changes, distribution and directories, which can’t be displayed in the Google Search Console as easily. One advantage of using RYTE Search Success is that you get even more accurate data. In the GSC you can only display and export a maximum of 1,000 lines. 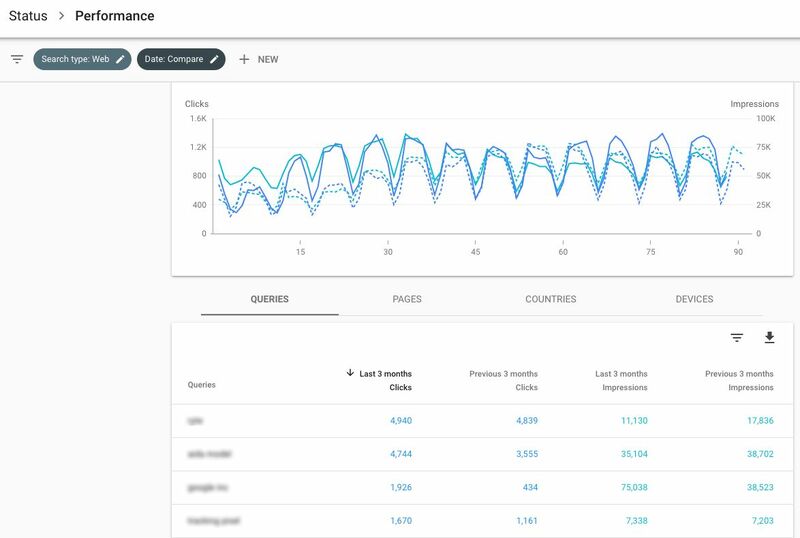 Thanks to the API connection, RYTE Search Success can query up to 5,000 lines at once, giving you significantly more data for your analysis. Ranking data is an important KPIs for measuring the success of your optimization measures. You should constantly analyze your rankings and observe changes closely. The new Google Search Console offers you a lot of analysis and filtering possibilities. In conjunction with RYTE Search Success you also have other advantages for the successful optimization of your website. For more information about RYTE Search Success, check out our Product Insights Blog. Published on 03/25/2018 by Eva Wagner.